DevOps is making a bang and boosting businesses to new heights, economically and functionally. It’s creating a whole new work environment that’s benefiting employees and customers alike. It’s creating better tech with better relations. DevOps is forming a new age where company productivity is faster, friendlier, and more profitable. So, what is DevOps exactly? 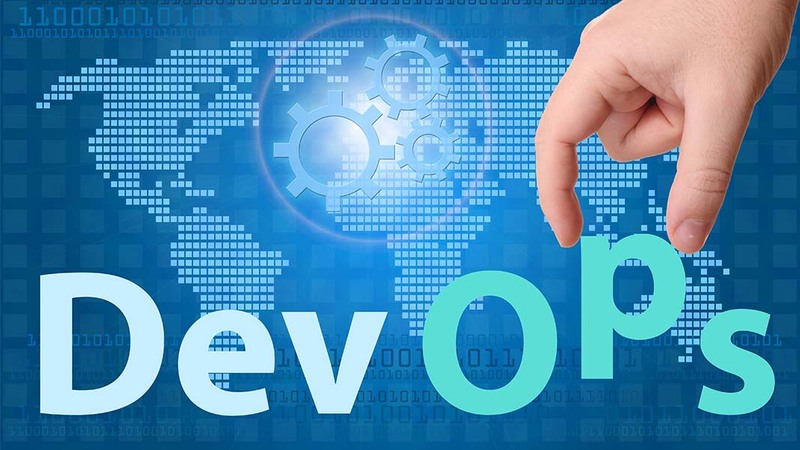 DevOps, a fusion of the words ‘development’ and ‘operations,’ is a movement encouraging software developers and software operation managers to be more cognizant of one another. This sounds obvious, but the lack of communication between the two groups has been a huge problem in the past, hindering the software engineering community. So much so, that software engineers began the DevOps movement to try to mend things in the late 2000’s. The core of the DevOps mentality is centered around ensuring a smooth line of connection between the production of a product and its practical application. This means establishing effective methods to test and monitor the product while it is being used and sending the information back to the developers, so they can update and amend any necessary changes. This way, in every stage of production and utilization, the product is being handled with the intent of user functionality and benefit. DevOps synergy allows for stable content creation that is made better and more frequently. It also allows for shorter downtime and faster fixes. Because of the constant monitoring and communication, software developers and operation managers are able to work together to quickly spot the problem and employ a solution. DevOps is often best achieved with help from IT consulting companies, but it can also be implemented with detailed lists and analysis. But, How Does DevOps Actually Work? Here’s an analogy: room furnishing. When you’re decorating your house or office space, it’s not enough to just make it look good, it has to feel good and be practical. If you buy a desk that’s sleek and neat, but has no drawers, where are you going to store all your paperwork and documents? A desk with no drawers is simply impractical. You need to think of the functional application and day-to-day use. The same thing goes for software development. In the tech and software industry, there is always room for improvement (think of all the smartphone generations). And to facilitate such improvement, there has to be a way for developers to know what to upgrade and what to fix. There needs to be a feedback initiative. But more than that, operations managers need to be able to easily run the software and must be able to communicate to the developers when they are having an issue. With all this talk about software and tech, you’re probably wondering what DevOps has to do with your business. Better functioning software for the whole office. If operators (in this case your company’s IT team) and developers work together, then the software that the rest of the company is using can run smoother and more efficiently. The IT team can also directly report any unmet needs of the company for the developers to fix. Faster recovery time when things go wrong. When there’s a technical or data failure, you need to get things back up and running as soon as possible or you’re going to lose customers. Not only that, but you’re going to aggravate the customers you already have. The longer you’re down, the more your company suffers. When all tech teams are working together, finding the problem and fixing it becomes much simpler, reducing downtime significantly. Better employee relations. When open lines of communication are present and encouraged, teams begin to really think of one another, rather than just themselves. This boosts inter-team moral and collaboration. When one team is having trouble or falls behind, the other team is there and willing to help. With this mindset, business never falls behind. Enhanced customer satisfaction. Company tools that run optimally, make for employees who are able to do their jobs well and right, which in effect makes clients happy. And happy clients equals more business for your business. Automation tools that make your company run effortlessly. There are many DevOps tools that automatically monitor, analyze, and report on your business software. This helps your IT team improve your programs while also saving them a tremendous amount of time and effort. Some nifty DevOps tools for your IT team to try out include: Jenkins, GitHub, and Elk. DevOps is bringing teams together, making the workplace a more collaborative and productive environment. DevOps is helping businesses move forward with effective tech and software, while successfully making both employees and customers happier. It’s high time to start thinking about DevOps for your business.